Built around an Arduino Mega 2560, the uArm Swift Pro is an open-source and DIY friendly robotic arm platform developed for makers and educational purposes. This little bot is extremely easy to use and anyone can learn how to use it within a few minutes. uArm - Your Desktop Assistant. With its 0.2mm repeatability, the uArm is capable of picking and placing objects up to 500g. It is one of the highest tuned consumer grade robotic platforms on the market. The metallic gripper enhances the uArm with 4 DOF, so you can use the uArm in any open source projects or even in standard light-industrial applications. 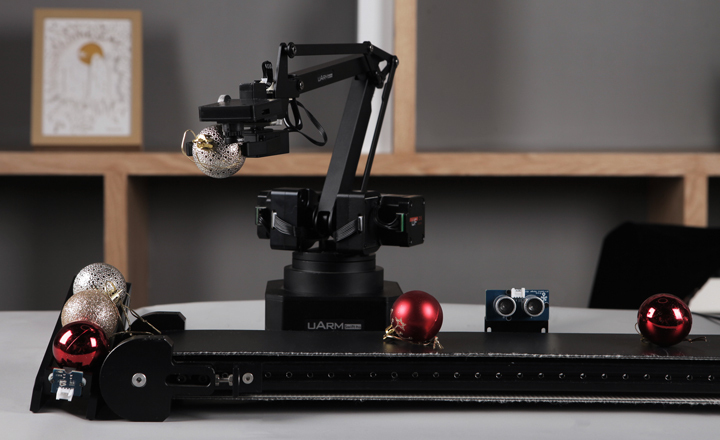 The uArm is the world’s first open-source robotic platform. You will have full access to our Github library and hardware. With the vision camera kit, the uArm can track objects with different shapes or colors for you to conduct A.I. projects. 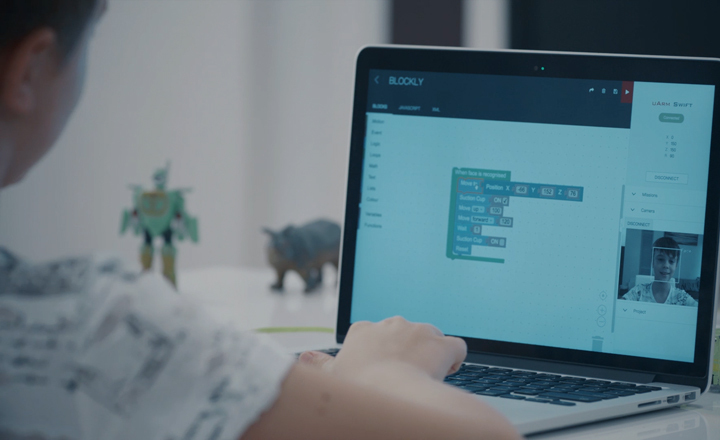 The “teach-learn” mode lets everyone set the uArm off to work in under a min.For beginner robotic learners, the GUI programming helps you understand the programming logic with robots. With different end-actuators, the uArm can be transformed to perform any task. The uArm can be a painter if you insert a pen in its universal holder, engrave patterns with its laser head, or even produce any prototypes with its 3D printing kit. The uArm Studio is a clean and intuitive user interface with guided instructions, settings and, diagnosis building for Windows, Mac OS, and Linux. As for smartphones, the uArm Play on mobile phone is available for easy access.The uArm also supports Arduino, Python, GRABCAD, and ROS programming to provide plenty of options for users of all levels. With its 0.2mm repeatability, the uArm is capable of picking and placing objects up to 500g; making it one of the highest tuned consumer grade robotic platforms on the market. The metallic gripper enhances the uArm with 4 DOF, so you can use the uArm in any open source projects or even in standard light-industrial applications. With different end-actuators, the uArm can be transformed to perform any task. 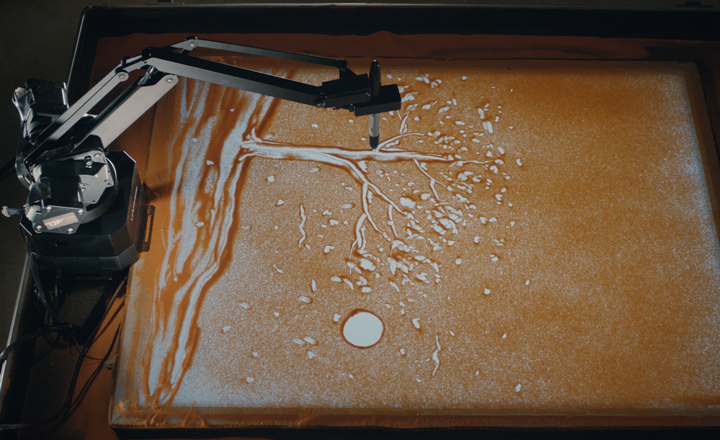 The uArm can be a painter if you insert a pen in its universal holder, engrave patterns with its laser head, or even produce prototypes with its 3D printing kit. The uArm Studio is a clean and intuitive user interface with guided instructions, settings and, diagnosis building for Windows, Mac OS, and Linux. As for smartphones, the uArm Play is available for easy access. 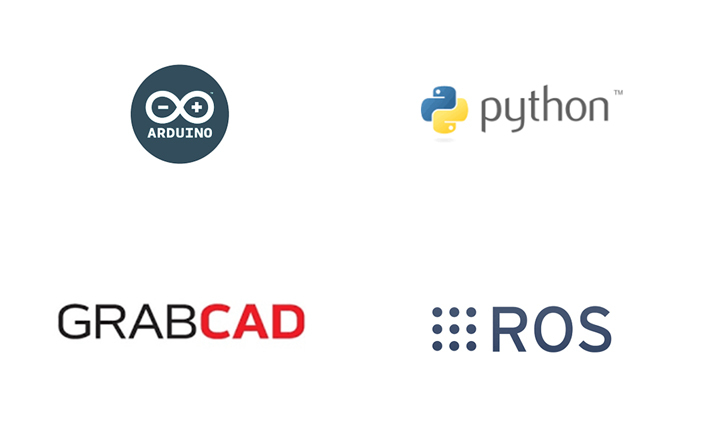 The uArm also supports Arduino, Python, GRABCAD, and ROS programming to provide plenty of options for users of all levels..